Dubai is a paradise for anyone who wants to have a zest of luxury travel. Dubai is not only popular for its majestic sky-scrappers, architectural wonders, shopping malls, and numerous possessions with world record, but also its exotic and vibrant nightlife. 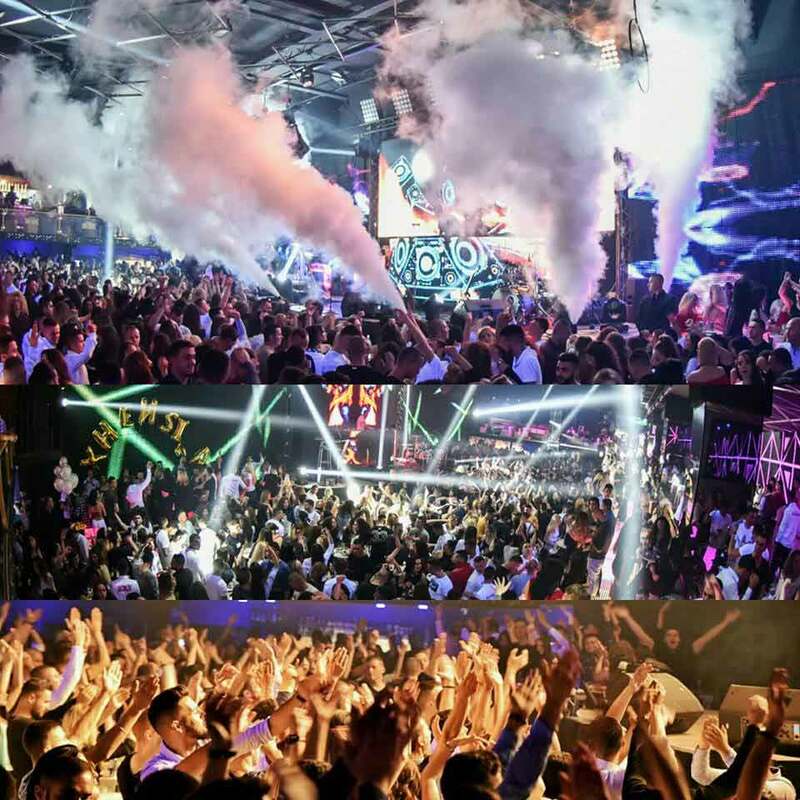 Nightlife Dubai offers many live events, dinner cruises, entertainment hubs, DJ night with globally famed artists and many more breathtaking events. Dancing to sparkling Disco lights or listening to the melody of peaceful ocean waves in the moonlight gives the right kind of atmosphere to host safe but at the same time wild experience. 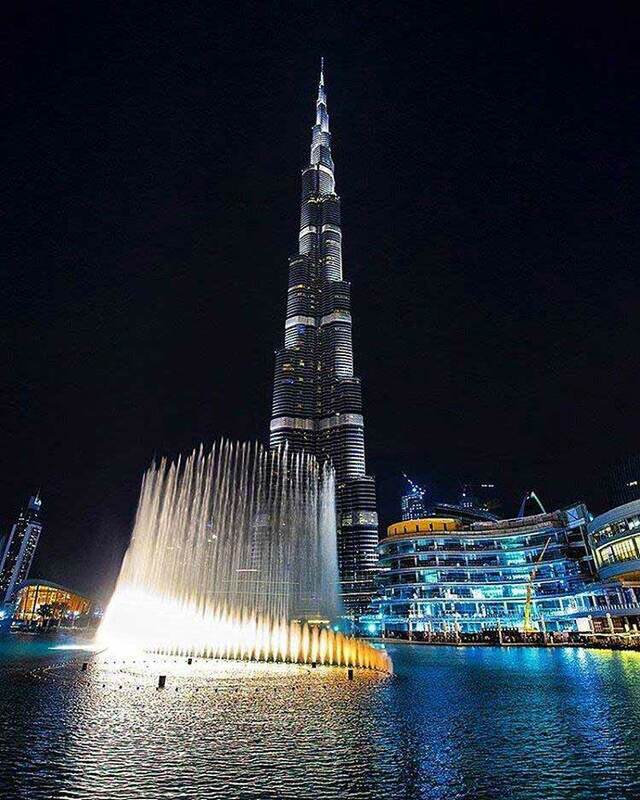 Some of the major places to witness a super nightlife in Dubai are Dhow Cruise Marina, Overnight Desert Safari, The Burj Khalifa, Sumptuous Nightclubs, Jumeirah Beach, and Dubai Fountain among others. 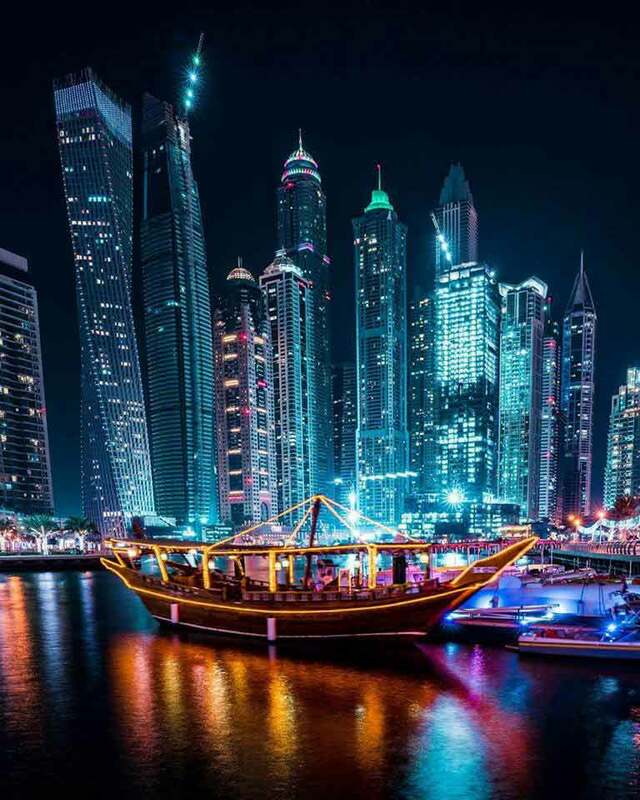 Experiencing a dhow cruise ride in night at Dubai is one of the best ways to spend and witness Dubai nightlife. Climb aboard a luxurious glass uncoated cruise, and enjoy an incredible view of Dubai Marina. Here you will be treated as a red-carpet guest from the moment you are welcomed on-board to the minute you come ashore at Dubai marina. Get awe-inspiring views of landmark attractions in Dubai Marina and experience the thrilling atmosphere of the artificial canal city. From sunset dining experiences to express rides, dhow cruises are a must-do for any tourists in Dubai. On the inside too, this cruise is full of life. You’ll agree on this when belly dance and Tanura performers will steal the show, and your heart away. As soon as the performance are over you will be served with Feast from a buffet menu of continental at local fare and you can relax to the romantic sound of melodic music. If in Dubai and haven’t experienced a Overnight Desert Safari the whole visit could be merely a boring one. Moreover, if you haven’t stayed a night in the mighty desert the trip seriously could be of no use. The twinkling night, the bonfire, the traditional cuisine all sums up to give you a greatest night life in Dubai. Its rugged desert is tempting in every sense, and certainly you cannot walk out of this city without having a taste of the desert safari. 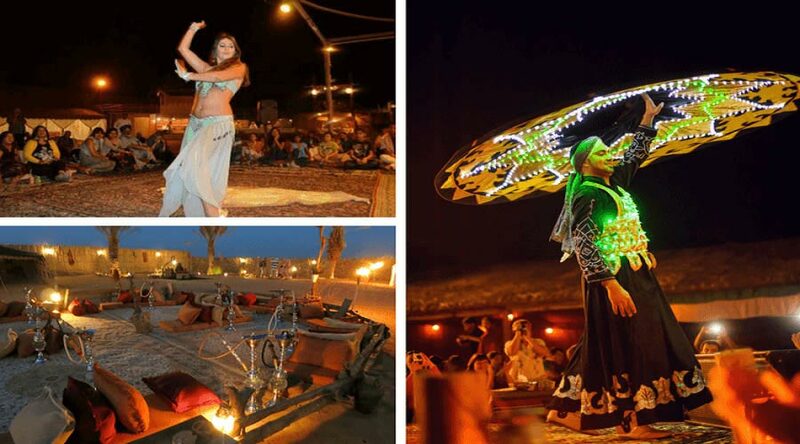 Fun activities such as belly dancing, tanoura dancing, henna paintings etc. 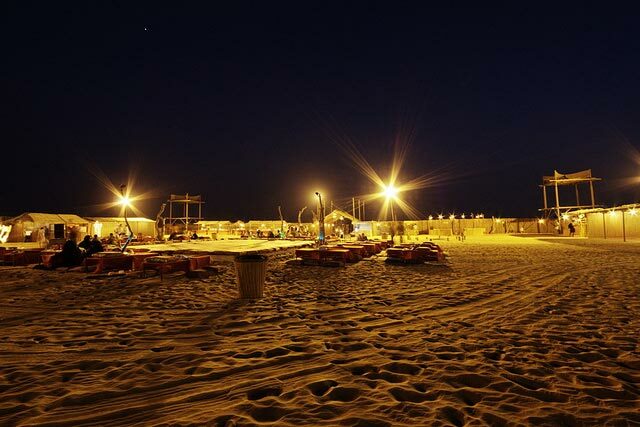 are included in the night desert safari. Eat on luxurious buffet dinner while you sit back and gaze at the belly dancers flaunting her hasty moves. Draw rings of shisha (Hookah) smoke, go sand boarding, dune driving and enjoy a camel ride – live it all up before dozing off in your tent. Yes traditional tents are settled in the camps to stay over for the night. Furthermore, Emirati breakfast will greet you good morning with a memorable experience of desert safari coming to an end. It you literally want to get the feeling to be on the top of the world, then you are on the right spot called The Burj Khalifa. It is yet another best experience to witness nightlife in Dubai. 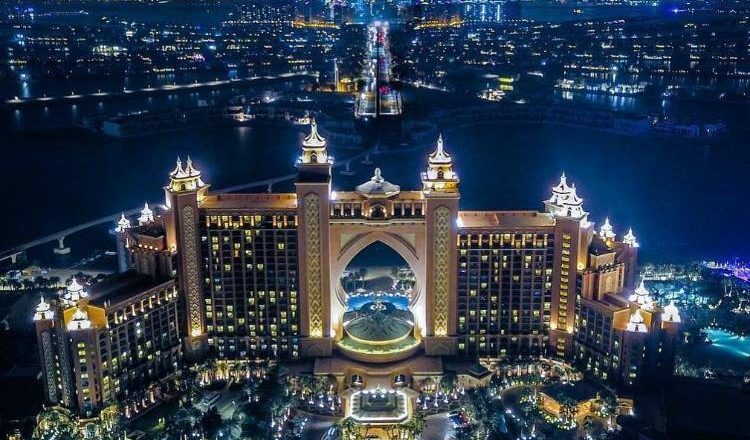 Catch the exclusive view of the Burj Al Arab, Dubai Creek, and every distinguishable structure once you get to the crown of the Burj, which is one of the best places to visit in Dubai at night. You could view the night to soak in the city lights, the streetlights and the view is actually pretty good as the city is all lit up and you have the headlamps of the passing traffic. The Burj Khalifa at the top ticket costs 135 AED for adults, 100 AED for teenagers and free of cost for infants. Ticket prices vary depending at what time of day and on which observation deck you wish to go up. Tickets are recommended to buy online in advance as tickets purchase on the spot cost 75% more. If you are a party animal and like to go nightclubs then you are lucky as Dubai hosts some of the most popular nightclubs in the world. 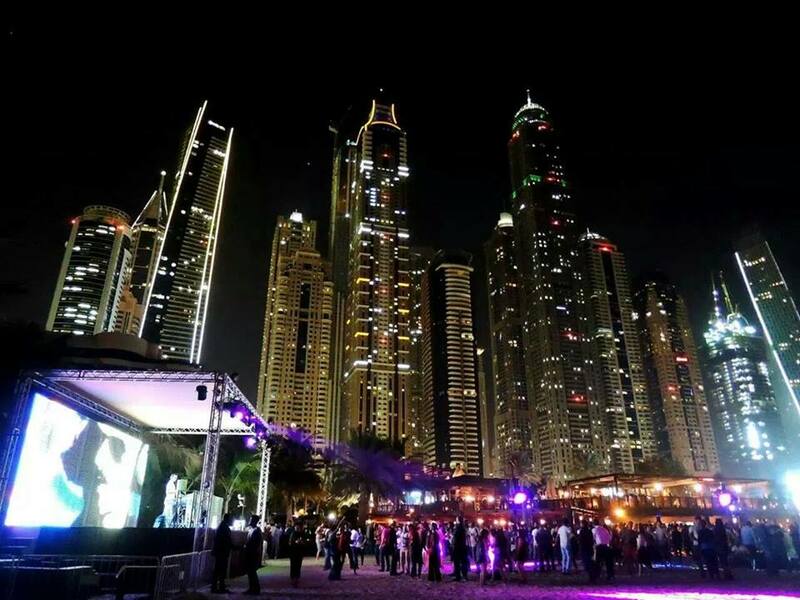 The emirate has so much to offer of the late night entertainment and it regularly hosts events played by world-renowned DJs and artists from around the world including Martin Garrix, David Guetta, Nicky Minaj, Katy Perry, Chris Brown and more. If you haven’t packed your dancing shoes (or legs) don’t worry. There’s still plenty to do when the sun goes down in Dubai. Cavalli Club, The Irish Lounge, Zinc Nightclub, White Dubai, O2, C Club, Provocateur etc. are some of the most visited and amusing nightclubs in Dubai. A pack of singles can enjoy wherever they go, although Dubai adds on more fun to the singles going to nightclubs. Nightlife in Dubai for singles is like a heaven for Devils. Not only you get the opportunity to dance & jazz to globally fame DJ’s but you also get the perfect ambience to hop-on to this clubs. Emirate clubs also offer some beautiful beach clubs whose magical atmosphere could make you mingle with someone and you may wander the city till the time you are in Dubai. But make sure you don’t do any foolish couple stuffs anywhere in public as Dubai hold stringent regulations for rule breaking. A night life in Dubai is incomplete if you miss the opportunity to stroll around the classiest beach in Dubai – The Jumeirah Beach. The man-made port is covered by a range of sky-scrapers that enlighten the city with their glittering lights. The JBR walk associating the marina is a junction of restaurants, cafés and the finest nightclubs in Dubai that put in to the glamour of this lavish city. Moreover, the beach adorned with the mighty “Burj Al Arab” flawlessly sets the tone for the romantic moments to follow, making it amid the greatest places to visit in Dubai at night. Last but not the least delightful nightlife experience in Dubai includes the world’s largest choreographed fountain “The Dubai Fountains”. An incredible music and light show takes place every 30 minutes that admires the dancing waters which accounts as one of the most amusing things to do in Dubai at night. Performances are held daily and last up to 5 minutes. Evening shows begin at 6 PM until 11 PM. Performances are free and can be seen from various locations around Downtown Dubai. Stunning display of water art, dancing lights, and a great symphony of music is probably one of the best places to visit in Dubai at night. Hence, Dubai’s task of amusing tourists doesn’t end even when the Sun goes down. On the contrary, Dubai’s nightlife is much more exciting than the day.